Melting of polar ice sheets has added 11mm to global sea levels over the past two decades, according to the most definitive assessment so far. More than 20 polar research teams have combined forces to produce estimates of the state of the ice in Greenland and Antarctica in a paper in Science. Until now different measurement means have produced a wide range of estimates with large uncertainties. But sea-level rise is now among the most pressing questions of our time. Polar ice has a tremendous capacity to cause massive rises - with huge potential impacts on coastal cities and communities around the world. But the remoteness and sheer size of the ice sheets mean accurate measurements are a serious challenge even for satellites which have to distinguish snow from ice, and the rise of the land from the shrinking of the ice. The new estimate shows that polar melting contributed about one-fifth of the overall global sea level rise since 1992; other factors include warming that causes the seawater to expand. The study does not seek to forecast future change. The results show that the largest ice sheet - that of East Antarctica - has gained mass over the study period of 1992-2011 as increased snowfall added to its volume. However, Greenland, West Antarctica and the Antarctic Peninsula were all found to be losing mass - and on a scale that more than compensates for East Antarctica's gain. 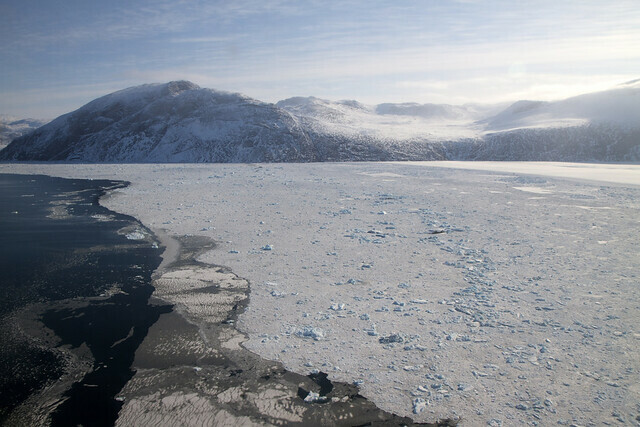 The study's headline conclusion is that the polar ice sheets have overall contributed 11.1mm to sea level rise but with a "give or take" uncertainty of 3.8mm - meaning the contribution could be as little as 7.3mm or as much as 14.9mm. The combined rate of melting from all the ice sheets has increased over the past 20 years with Greenland losing five times as much now as in 1992. The lead author of the research, Prof Andrew Shepherd of Leeds University, said the study brought to an end 20 years of disagreement between different teams. "We can now say for sure that Antarctica is losing ice and we can see how the rate of loss from Greenland is going up over the same period as well," he added. Prof Shepherd said the measurements were in line with climate change predictions. "We would expect Greenland to melt more rapidly because the temperatures have risen," he said. "We would expect West Antarctica to flow more quickly because the ocean is warmer. And we would also expect East Antarctica to grow because there's more snowfall as a consequence of climate warming."